Social networks influence obesity patterns, but interventions to leverage social incentives to promote weight loss have not been well evaluated. To test the effectiveness of gamification interventions designed using insights from behavioral economics to enhance social incentives to promote weight loss. The Leveraging Our Social Experiences and Incentives Trial (LOSE IT) was a 36-week randomized, controlled trial with a 24-week intervention and 12-week follow-up. One hundred and ninety-six obese adults (body mass index ≥ 30) comprising 98 two-person teams. All participants received a wireless weight scale, used smartphones to track daily step counts, formed two-person teams with a family member or friend, and selected a weight loss goal. Teams were randomly assigned to control or one of two gamification interventions for 36 weeks that used points and levels to enhance collaborative social incentives. One of the gamification arms also had weight and step data shared regularly with each participant’s primary care physician (PCP). The primary outcome was weight loss at 24 weeks. Secondary outcomes included weight loss at 36 weeks. At 24 weeks, participants lost significant weight from baseline in the control arm (mean: − 3.9 lbs; 95% CI: − 6.1 to − 1.7; P < 0.001), the gamification arm (mean: − 6.6 lbs; 95% CI: − 9.4 to − 3.9; P < 0.001), and the gamification arm with PCP data sharing (mean: − 4.8 lbs; 95% CI: − 7.4 to − 2.3; P < 0.001). At 36 weeks, weight loss from baseline remained significant in the control arm (mean: − 3.5 lbs; 95% CI: − 6.1 to − 0.8; P = 0.01), the gamification arm (mean: − 6.3 lbs; 95% CI: − 9.2 to − 3.3; P < 0.001), and the gamification arm with PCP data sharing (mean: − 5.2 lbs; 95% CI: − 8.5 to − 2.0; P < 0.01). However, in the main adjusted model, there were no significant differences in weight loss between each of the intervention arms and control at either 12, 24, or 36 weeks. 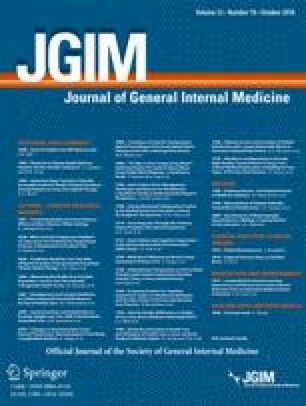 Using digital health devices to track behavior with a partner led to significant weight loss through 36 weeks, but the gamification interventions were not effective at promoting weight loss when compared to control. The online version of this article ( https://doi.org/10.1007/s11606-018-4552-1) contains supplementary material, which is available to authorized users. This study was funded by the grants from the University of Pennsylvania Center for Therapeutic Effectiveness Research (CTER) and the McCabe Fund. The funding sources had no role in the design and conduct of the study; collection, management, analysis, and interpretation of the data; preparation, review, or approval of the manuscript; and decision to submit the manuscript for publication. Dr. Patel is supported by career development awards from the Department of Veterans Affairs HSR&D and the Doris Duke Charitable Foundation. Dr. Patel is also a principal at Catalyst Health, a technology and behavior change consulting firm. Dr. Patel also has received research funding from Deloitte, which is not related to the work described in this manuscript. All remaining authors declare that they do not have a conflict of interest. The US digital consumer report. 2014; http://www.nielsen.com/us/en/insights/reports/2014/the-us-digital-consumer-report.html.